Charles Brackins focuses his practice in real estate litigation and professional liability defense, with particular emphasis on the defense of real estate professionals against claims of professional liability and commercial lease disputes. 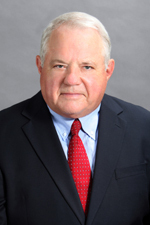 Prior to joining Hinshaw & Culbertson LLP in September 2014, Mr. Brackins was an attorney with another Los Angeles firm. Throughout his career, Mr. Brackins has practice in both California and Florida, always with a focus in real estate and business law.